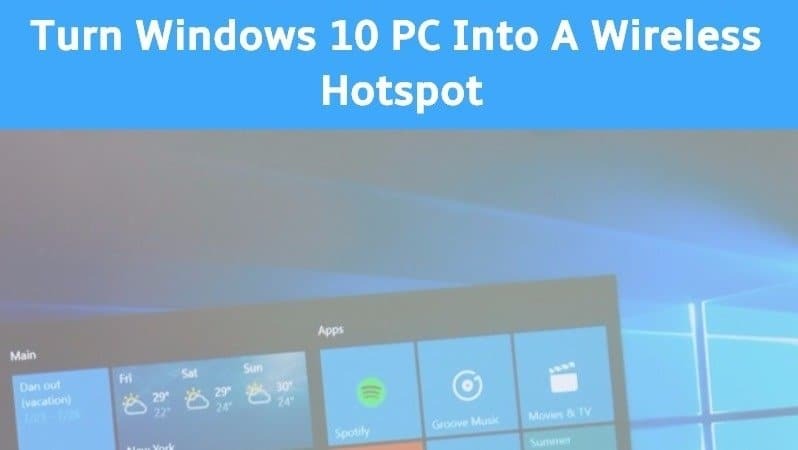 We all know that we can connect our Windows 10 PC or system to the Wi-Fi or internet connection, but rarely people know that the Windows 10 PC can be converted to a wireless hotspot and share its connection. 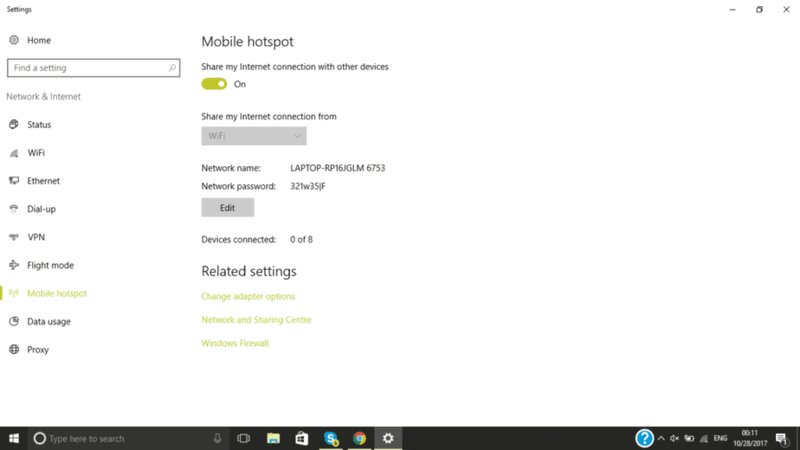 Turning the Windows 10 PC to a wireless hotspot is not a very technical or tough task because of Windows 10. Though the previous versions required complicated hacks yet in Windows 10, this can be done through few simple steps. The prerequisites for it are a stable internet connection, administrator privileges to share your connection, the latest Windows 10 updates and a PC that has the right drivers. 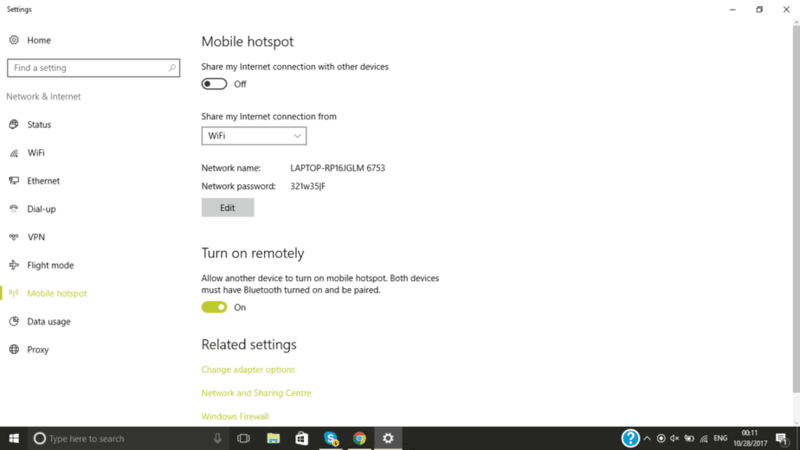 Do you need to know how you can turn Windows 10 system into a wireless hotspot and trust us it’s not a daunting task? 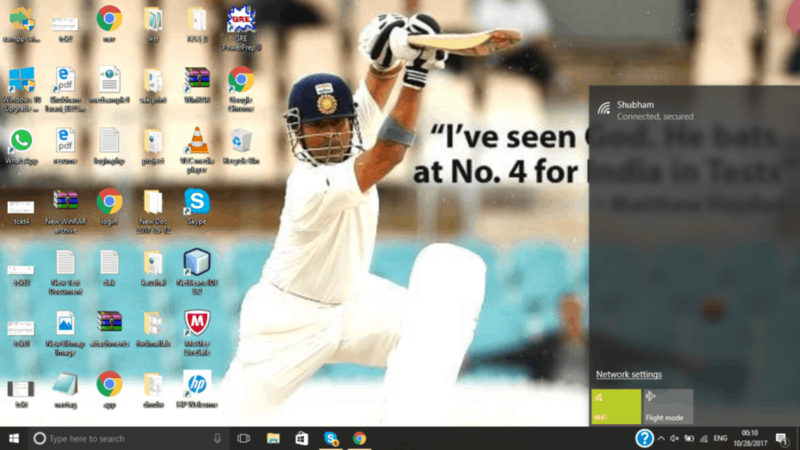 If yes, find out the tutorial in which there are a few simple steps to convert the Windows 10 system into a wireless hotspot. 1. To check for a solid internet connection, check for the WiFi icon on the Taskbar. If the icon is white, you have an internet connection. 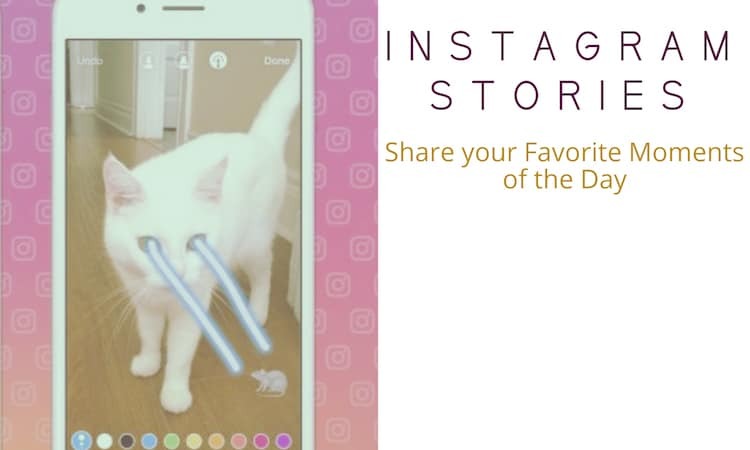 If it’s not, click on the icon to connect to the internet. 2. Go to your System’s Settings and click on the Network & Internet Settings in the pop up. Through this we can change the connection’s password, customize its name and decide what type of internet connection it relies on. 3. As the Settings app open, we find there various options on the left hand side. These include Status, WiFi, Ethernet, Mobile hotspot, etc. Click on the Mobile Hotspot option. At the top of this screen is a second switch that allows you to turn Mobile Hotspot connectivity on your device on or off. Don’t flip this yet because you can’t change your network’s settings with it being active. 4. After flipping the button, use the drop-down below the hotspot switch to decide which of your internet connection’s you’d like to share with other devices. The option says Share my Internet Connection From and then there is a drop-down which has the choices to select from. Be sure that the connection you want to share is working for you before you attempt to share it. 5. A router can be distinguished from other through its network name and password. 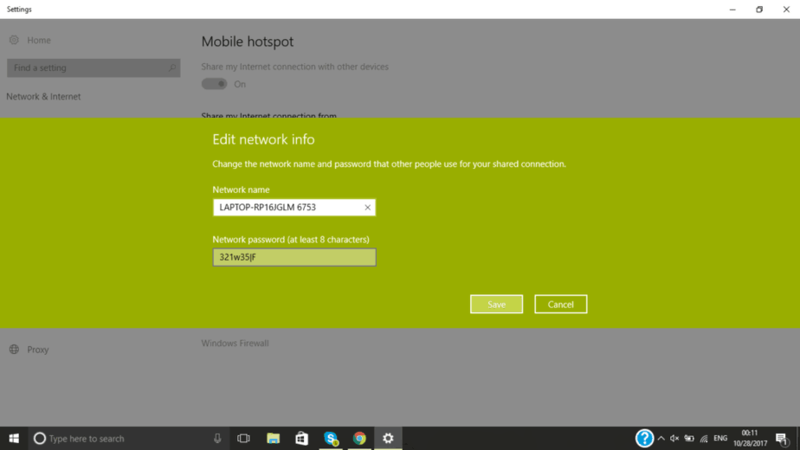 Since we are converting our Windows 10 system to a hotspot, it is important to set its unique network name and password. If there will be no password, anyone will be able to use it without permission. It is good to leave the network band toggle alone as newer devices all work well with 5GHz, but older devices rely on 2.5GHz. 6. Then there is a Turn On Remotely option which lets your smartphone or another PC turn on Mobile Hotspot. Once the connection is established, the area also notifies how many devices have been connected to the system. The maximum limit of Windows 10 PC is eight devices. 7. There is no notification or area for the data usage meter. To check that go to the Data Usage area. It’s available from the Menu on the left under Mobile Hotspot. It doesn’t give any breakdown of the usage, but shows the net usage. This is how you can turn your Windows 10 system into a Wireless Hotspot and connect eight devices with the same system. With the release of this feature, Windows 10 has has become the most desired for the laptops and PCs. This is available for other Windows as well, but is much easier to set up in Windows 10. If you find any problem after the above tutorial, do let us know in the comments section below.